In the very crowded Antelope Canyon, I took the time to capture shapes and lines that could remind me familiar figures. In this spot I imagined to see a heart. 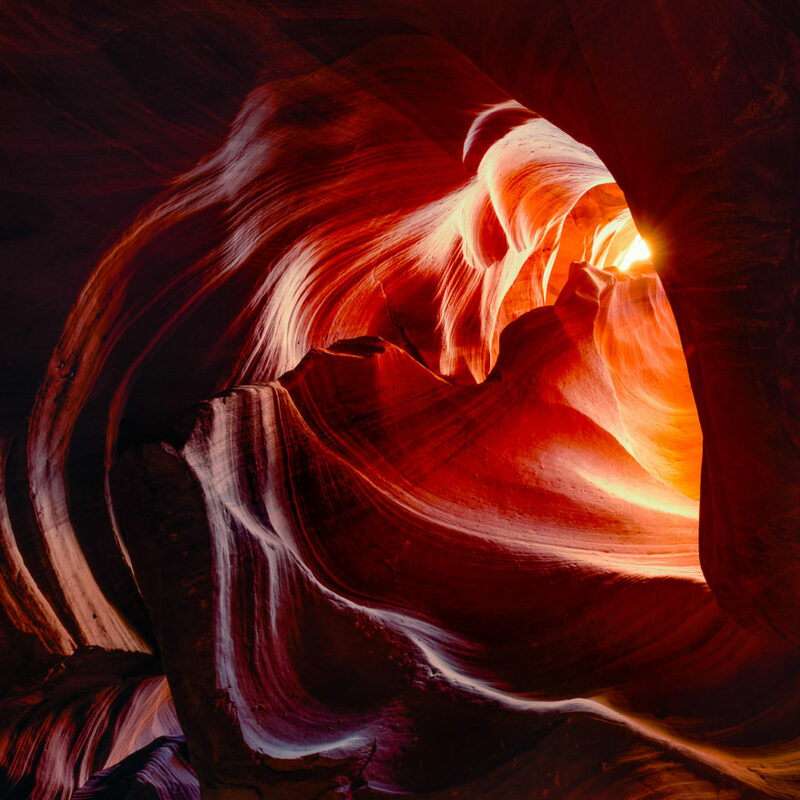 Despite hundreds of people passing by in the very narrow canyon, I succeeded to try several angles with my tripod in order to find the best one that allowed me to capture the shape of the heart. I left a tiny hole of light to create a sparkle in the heart of stone.